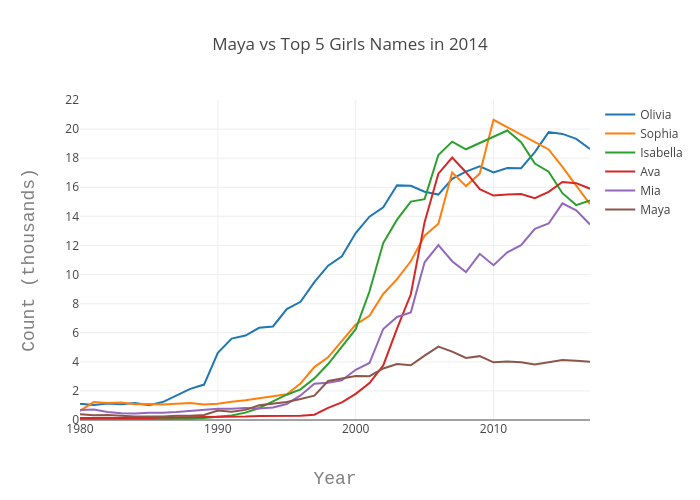 Echris's interactive graph and data of "Maya vs Top 5 Girls Names in 2014" is a line chart, showing Olivia, Sophia, Isabella, Ava, Mia, Maya; with Year in the x-axis and Count (thousands) in the y-axis.. The x-axis shows values from 1980 to 2017. The y-axis shows values from 0 to 22.